In summary, OnRobot, based in Odense, Denmark, manufacturers collaborative end-of-arm tooling. In the past year, our company and product portfolio has tripled in size with global reach. More specifically, we offer technologies — both hardware and software — used in end-of-arm tooling, mainly for collaborative robots (cobots). 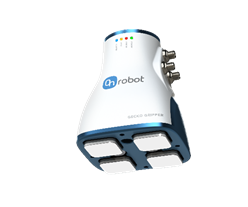 OnRobot is based on On Robot, which was founded in 2015 by Bilge Jacob Christiansen and Ebbe Overgaard Fuglsang. 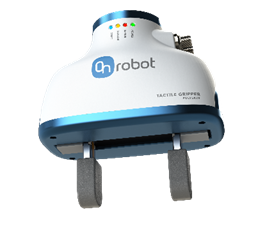 OnRobot integrates grippers, sensors and other cobot equipment to facilitate the use of the technology in applications such as packaging, quality testing, material handling, machine tending, assembly and welding, and is planning to acquire and manufacture additional technologies with worldwide support. In addition to its headquarters in Denmark, OnRobot now has consolidated sales offices in Germany, China, the U.S., Malaysia and Hungary. North American has been an important market for OnRobot from day 1. As a result, it’s important to be close to our local partners and showcasing the newest products so we can support our loyal partners and sales channels. We recently merged with California-based Perception Robotics, which means we have a solid US-based location. This lets us be present and ready to help our customers, partners and sales channel at any given chance. Three new products - the Gecko gripper, Polyskin Tactile Gripper and the RG-F/T gripper - will have their US launch at the show. We will, of course, also show our standard equipment, such as the RG2 and RG6 grippers, in various applications. We’re excited to see new technologies and to get inspired by the applications trending in the market. When we book a booth at a tradeshow like IMTS, we expect a high amount of interaction with our partners, customers and potential customers. We believe our booth will be quite busy all week with manufacturers looking for innovative end-of-arm tools like ours that are opening up new types of applications for collaborative robots while making implementation easy. We are fortunate to have a strong and tight staff who are good at keeping themselves active and entertained. Since we are in Chicago, we will unwind “Chicago style” with some sports, and hopefully, Chicago-style pizza with some local IPA beer.